Ângela Paula Ferreira, of IEE Smart Grid, explains how smart microgrids use conservation voltage regulation to reduce energy consumption. Conservation voltage regulation (CVR) is based on the premise that reduction of the voltage level of the electrical system will lead to reduced energy consumption by final consumers without harming their appliances. Specifically, CVR may attend to short-term demand reduction and/or long-term energy reduction by lowering voltage on the distribution sector to the lower voltage limit level. CVR is not a new technology. It can be traced to the 1970s, when this technique was experimentally investigated by the American Electric Power (AEP) company . From that time forward, several utilities have implemented CVR tests, pointing out a CVR factor ranging from 0.3 percent to 1 percent of energy savings for a reduction of 1 percent in the voltage [2-4]. A recent estimation for the U.S. Department of Energy on the benefits of CVR for individual distribution feeder types as well as an extrapolation on a national level indicates that the reduction in annual energy consumption can achieve 3.04 percent . Although CVR has its proponents, it is difficult to implement over a wide area without the danger of exposing some consumers to unacceptable under-voltage conditions. Another concern is linked to the load-voltage sensitivity. In fact, some loads may increase energy consumption when voltage is reduced. One key issue to support CVR functionality is the development of accurate load models regarding voltage response characteristics as a function of consumer categories and types of equipment in the facility. Loads can be modeled by the traditional ZIP configuration (constant impedance, Z; constant current, I; and constant power, P elements). CVR factor decreases when the voltage dependence of the load changes from a constant CVR to a constant power type . Additionally, load models must differentiate time-invariant loads, with no control-loop, from those with a duty-cycle, in a closed loop-control, such as HVAC systems. Regarding transformers, CVR can reduce iron losses, including both eddy current and hysteresis losses, while copper losses may increase or decrease, depending on the load type. From the point of view of utilities, CVR implementation presents the opportunity for peak shaving and grid loss reduction, taking into consideration both transformers and distribution lines. On the other end, due to the reduced energy consumption, it may represent a loss of revenue, as occurs with many demand response programs. Classical CVR schemes are deployed through two fundamental components: reactive power compensation and voltage optimization. Reactive power compensation is achieved through the operation of capacitors banks in order to maintain the power factor within a prescribed band. Voltage optimization is achieved through the operation of voltage regulators in order to regulate the voltage at specific end of line (EOL) points within a prescribed range. In a smart grid scenario, CVR functionality aims to continuously evaluate the voltage profile on the distribution grid and optimize it to achieve the best energy efficiency, providing load balancing while assuring reliability and stability criteria on the overall power grid. Advanced metering capabilities and distribution automation with enhanced information and communication technologies (ICT), some of which have already been in use in various sectors of the industry, allow CVR implementation as one of the cheapest technologies that can be used to provide better resources utilization, demand reduction and efficiency improvement. New power electronics interfaces, with advanced control features such as independent active and reactive power control and black start capability, reacting promptly to fast signals, also favor the implementation of CVR. For instance, the technological trend based on smart solid-state transformers , supposed to replace standard low-frequency transformers, can easily perform ancillary services because of the DC links, and easily exploit the dependency of the consumed active and reactive load powers on the voltage. The actual trend of distributed generation (DG) based on renewable energy sources (RES) in distribution systems also impacts on voltage optimization and on CVR schemes. Strategies for grid optimization are based on the aggregation of DG essentially based on RES with flexible loads and energy storage capabilities in order to mitigate the misbalancing effects due to intermittent and random nature of solar and wind sources. Hence, CVR plays an important role in load flexibility, preventing load shedding schemes. In fact, as CVR is triggered by utilities, it does not depend on consumer participation in load management as price-driven demand response programs. CVR algorithms development in a smart microgrid with DG, mostly based on RES, should address the uncertainty and the variability on the energy produced. Consider the state of charge of storage elements and implement multicriteria optimizations restrained to global systems objectives, i.e., stability, quality and security of the power supply. Although CVR is an established idea, the study and evaluation of CVR techniques subjected to DG, including RES, are needed to satisfy its credibility and deployment. 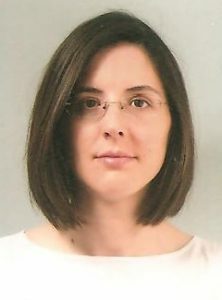 Ângela Paula Ferreira, of the Polytechnic Institute of Bragança, is a member of IEEE Smart Grid. 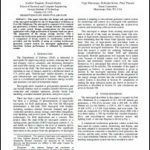 R. F. Preiss and V. J. Warnock, “Impact of Voltage Reduction on Energy and Demand,” IEEE Transactions on Power Apparatus and Systems, vol. PAS-97, pp. 1665-1671, 1978. B. R. Williams, “Distribution capacitor automation provides integrated control of customer voltage levels and distribution reactive power flow,” in IEEE Power Industry Computer Application Conference., 1995, pp. 215-220. D. M. Lauria, “Conservation Voltage Reduction (CVR) at Northeast Utilities,” IEEE Transactions on Power Delivery, vol. 2, pp. 1186-1191, 1987. A. Dwyer, R. E. Nielsen, J. Stangl, and N. S. Markushevich, “Load to voltage dependency tests at B.C. Hydro,” IEEE Transactions on Power Systems, vol. 10, pp. 709-715, 1995. Z. Wang and J. Wang, “Review on Implementation and Assessment of Conservation Voltage Reduction,” IEEE Transactions on Power Systems, vol. 29, pp. 1306-1315, 2014. Hi, I’m full article you would like, if possible, thank you, “salam Nikravesh” of Iran, a graduate student in Electrical Engineering.